In 1861, Hope Ranch was named after Thomas Hope, a sheep rancher. Hope’s heirs sold the ranch to Southern Pacific Railroad for $250, 000. When Harold Chase bought Hope Ranch in 1923, the land was developed for residential homes. Hope Ranch is a community where residents can ride for miles on horse paths, bicycle paths or relax on their own private beach with benches and cabanas. Hope Ranch’s topography is mostly hilly, adjacent to the ocean and has a wide variety of trees, many of which are mature oak trees. 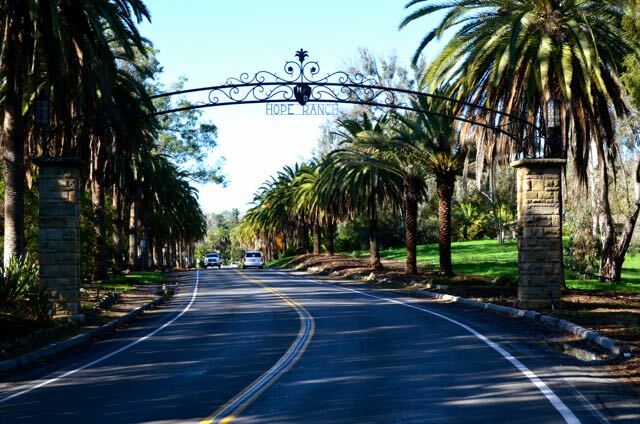 Besides being one of the most expensive neighborhoods in Santa Barbara, Hope Ranch is also known to be one of the wealthiest places to live in California. Famous & successful people and families have lived in Hope Ranch, since its inception and continue to enjoy this community today.